Unscented. 1-to-1 Remoisturizer, 32-to-1 Creme Rinse. A specially developed super thick formula that will detangle hair, condition skin and eliminate static flyaway. Helps remove stubborn mats and tangles and will make combing easier. Desert Rain Unscented Remoisturizer is essential in the rebuilding of damaged coats, without any oily residue. 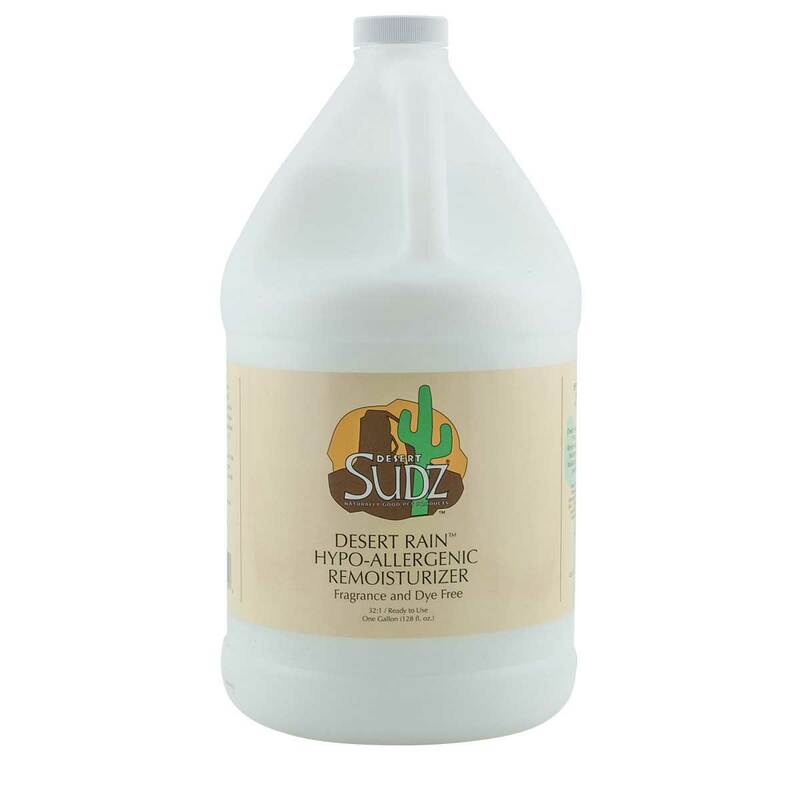 Desert Sudz Unscented Remoisturizer is safe for dogs, cats, puppies, and kittens.